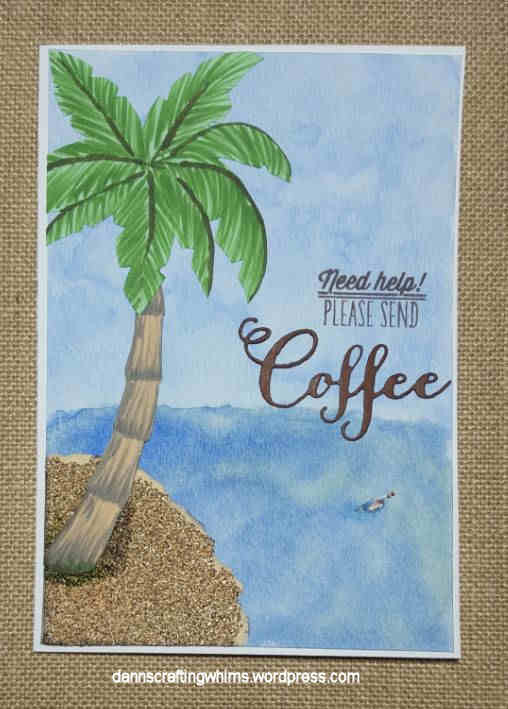 I water colored the background, Stamped the sentiment and glued the die cut “coffee.” The sandy beach is sandpaper and the rest I drew, colored with Copics and fussy cut. If you’d like to join the fun at any of the above, just click on the colored text to go find out what you need to do. Happy crafting! I want to thank you for taking the time to stop by today! If you would like to have a chance to win this package, all you have to do is leave a comment on any of my blog hop posts that have “Blog candy” in the title from June 5 – 12, 2015. Of course, I appreciate those who sign up to follow the blog, but it’s not a requirement. If you do sign up to follow, I will give you an extra entry. To sign up, you’ll need to go to the home page and click the box that says “follow” in the right-hand column under the photos. If you’re already a follower, make a second comment telling me so. Otherwise, one comment per post, please. From all the comments left on my blog posts from June 5 – 12 that have “Blog candy” in the title, I will announce a winner, selected at random, on June 14, 2015. (This date is revised from my original post.) The winner will have 72 hours to respond, or I will draw another winner. Bye-bye! Have fun stormin’ the blog hops today!! This entry was posted in Cards, Papercraft and tagged chocolate, coffee, Coffee Loving Cardmakers, Copic Markers, Kuretake Gansai Tambi watercolors, MarkerPop!, Mojo400, MojoMonday, SimonSaysStampWednesdayChallenge, Strathmore, Summer Coffee Lovers Blog Hop, thedailymarker30day2, Verve, Watercolor Blog Hop by dannscraftingwhims. Bookmark the permalink. Oh I love your card!! Your card is just too funny and gorgeous too!! Oh, I love this… too funny. What a great take on the summer coffee theme. Great card. I love the sandpaper you added. I wouldn’t have known it was that until I read it. Lovely colors. a work of art.. i love this.. awesome designing..
Love…awesome drawing…can’t go wrong with a tropical coffee card! Beautiful card, I really think I need a Frape in that beautiful scene you created. Coffee on the beach, you can’t beat that. What a cute sentiment! I love the watercolor in this design. It is so spot on! Thanks so much for playing Simon Says Stamp Wednesday “Make It Masculine” Challenge! Another lovely card, D.Ann, love the beach theme! Happy hopping! This is so sweet! Love your beach scene! Wow! Way to go with getting all your blog hop requirements for ALL those blog hops in ONE card! There should be a prize just for that alone! Lol! Love the card, too! I’m not a coffee drinker, but my BF is an addict for sure. I bet he’d get a kick out of a card like this! PS. I’m a new follower, so sign me up for the giveaway! This is so fun! Made me chuckle! Great card! 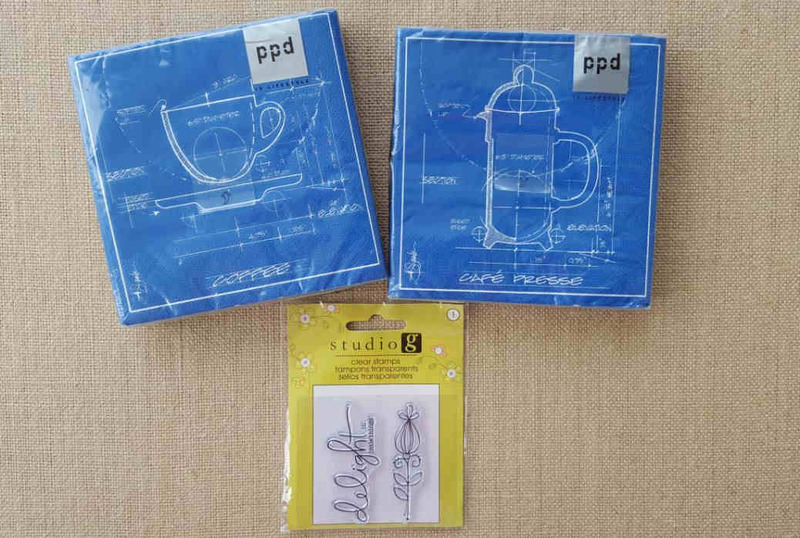 what a fun take on the summer theme for the coffee lover’s blog hop!! Your sentiment cracked me up. Awesome card. Wow what a great sentiment and nice scene, love it. Now this is a clever card! Love the watercolored sea and sky, but that palm tree is even more impressive. Me, I can draw stick people…And the ‘message in a bottle,’ it’s how I’d feel stranded on a desert island! Very fun! Oh, how fabulous! Love your deserted island… can’t imagine being stranded without access to coffee! 🙂 Thanks for joining in the fun over at Mojo Monday! Made me giggle, a cute fun creation, beautiful handdrawn image with lovely watercoloring! Yeah, how true! this is a lovely, fun card and I love that coffee stamp! Very cute card! Great idea! Oh my goodness,this is a FUN card indeed! I can picture you there on the island yearning for coffee! Beautifully colored! and what a great give away. Those napkins are beautiful! Hahaha – this makes me giggle, as well! Love your imagination! OMGosh so cute and so true…I just had a daydream I was stranded on that island with a cup of coffee and some peace and quiet….oh well, a girl can dream, lol. Hi D. Ann!! This is so great card!! wow!! I want to go to one Summer place !!! TFS!! !